NASA has released out-of-this-world footage of polar storms over Jupiter's north pole. 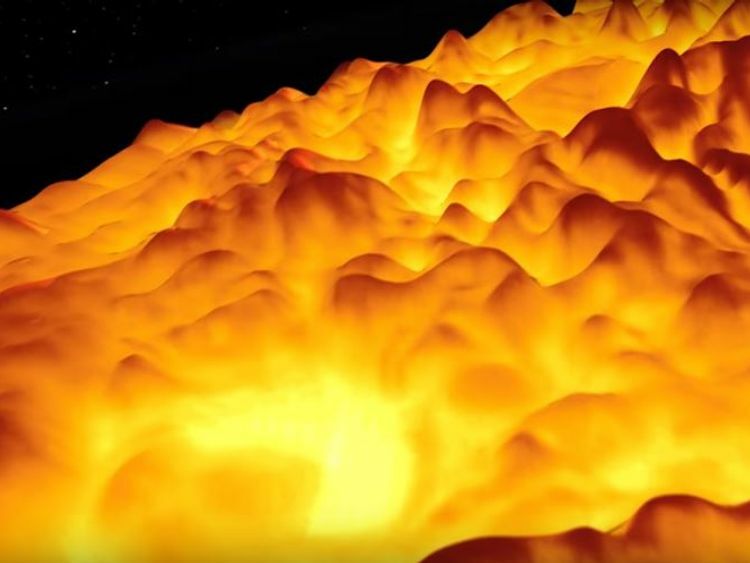 The animation, which makes plumes of cloud appear like lava flows, uses imagery collected by an infrared mapper aboard NASA's Juno probe during its fourth pass over the planet.The temperature of Jupiter's atmosphere was sensed by infrared cameras and in the moving images yellow areas are warmer - or deeper into Jupiter's atmosphere.The red areas are cooler, and higher up in the planet's atmosphere. In the pictures, the highest 'brightness temperature' is about -13C, and the lowest around -83C.The brightness temperature is a measure of the radiance travelling up towards Juno. Juno has completed 11 "science passes" since entering Jupiter's orbit on 4 July, 2016, logging almost 122 million miles (200m km).Its 12th science pass - when instruments and cameras are in operation - will be on 24 May. "Juno is only about one third the way through its planned mapping mission and already we are beginning to discover hints on how Jupiter's dynamo works," said Jack Connerney from the Space Research Corporation. 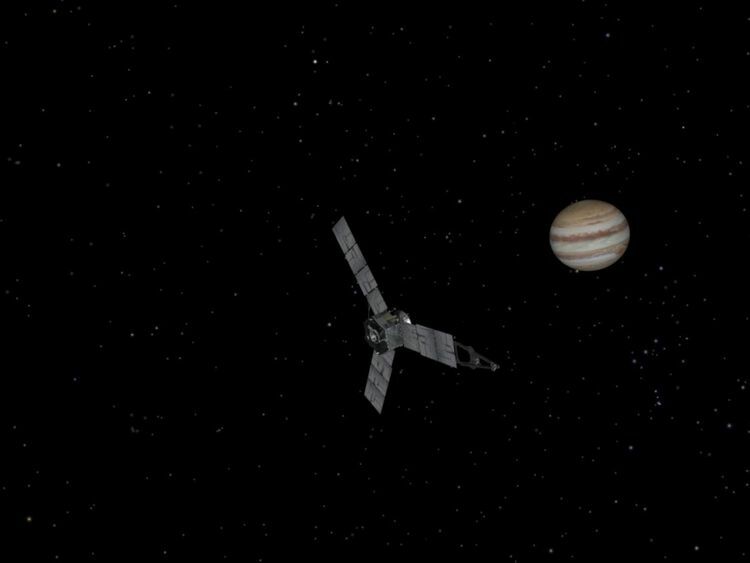 The dynamo is the engine powering Jupiter's magnetic field. "The team is really anxious to see the data from our remaining orbits," Mr Connerney added.